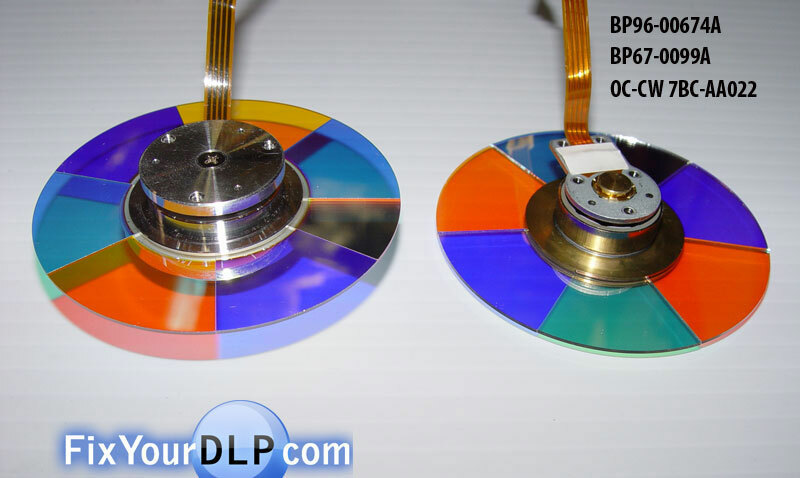 There are some Samsung DLP-TV production series that use two different kind of color wheel in the optic system, one is a ball bearing based system and the other is an air suspension system. While the two color wheels have the same diameter and look the same they are not compatible in any way, and cannot be swapped. The only way around this is to change the complete housing and wheel from one type and replace it with the other complete assembly type. To do this you must firs consider the following conditions. 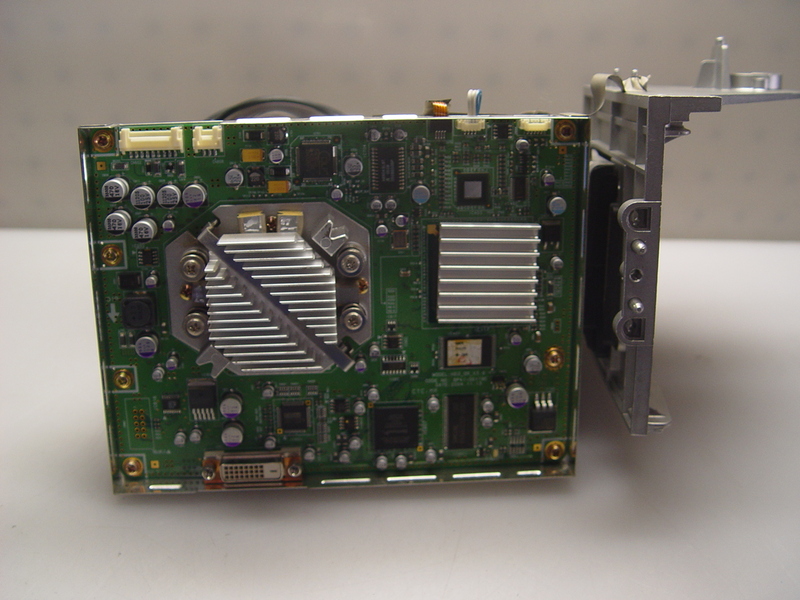 If you wish to use the BP900674A color wheel with its respective original housing in a TV that has an air suspension system you must insert a jumper on the pin connectors “CN810”. 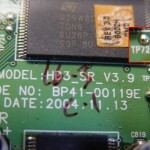 This will let the TV’s bios know to change the timing of the color wheel. 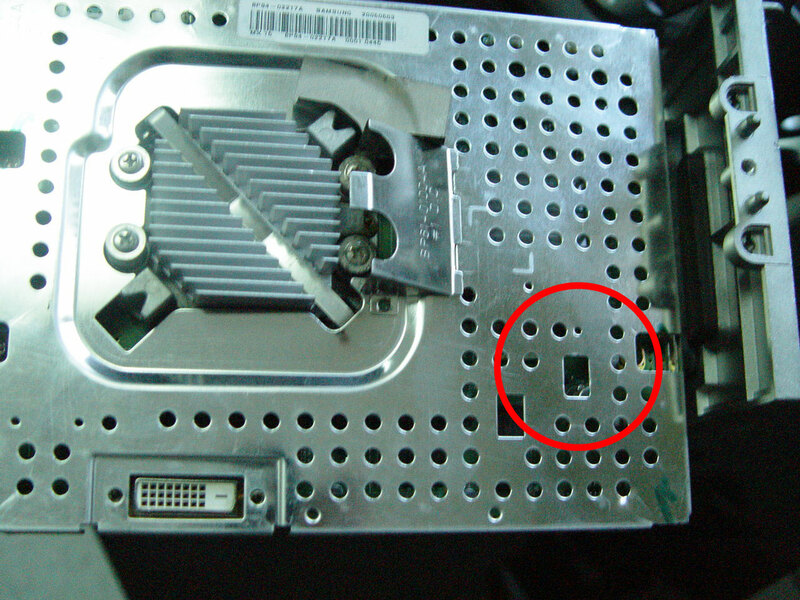 On the contrary, if you want to use the air suspension system with its respective original housing in a TV that has a ball bearing based system you must remove the jumper on the “CN810” pin connectors. Close up of jumper location. 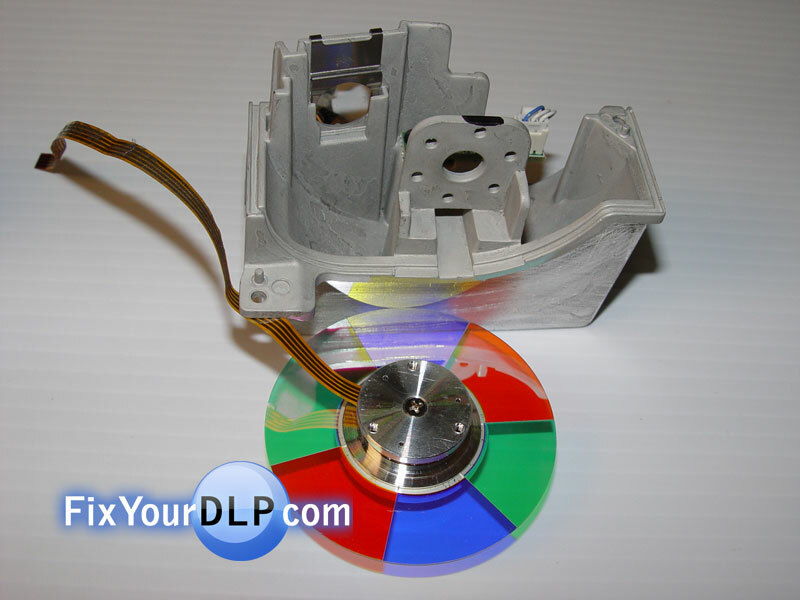 Ball bearing based system Color Wheel: Jumper inserted in the “CN810” pin connectors. Air suspension system: Jumper removed on the “CN810” pin connectors. 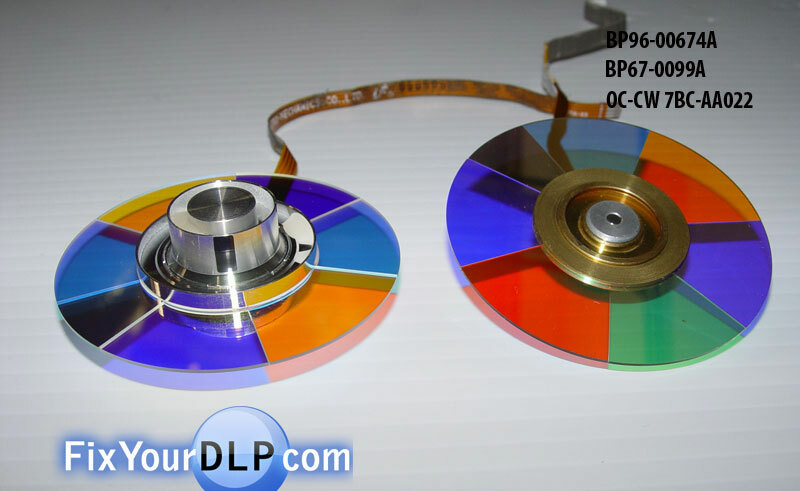 Ball bearing based system Color Wheel, Part No. 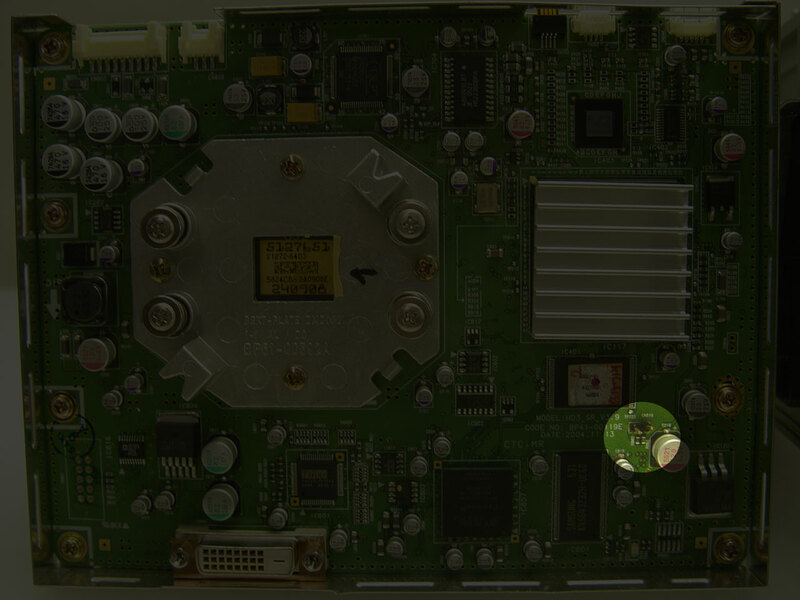 BP900674A, BP67-0099A, you can replace it with its original housing in case it’s broken or if it fails. Here are the differences between both color wheels. 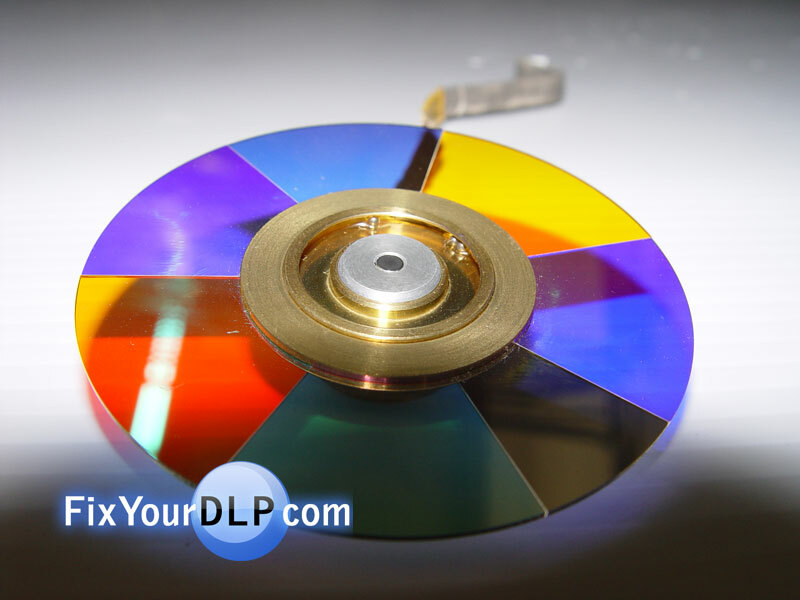 Check out this site, not only do they carry and sell this color wheel, but also lots of spare parts for your TV / DLP / Plasma and LCD. They deliver to most city in the world. It’s important that you install authentic parts and avoid a generics lamps and parts..
Knock-off, compatible generic lamps and parts may seem like a bargain in the beginning. They actually cost more in the long run since they can damage the color wheel and ballast mechanisms in your RPTV. They also give off poor light, are prone to messy explosions and actually have a shorter life. We recommend purchasing from an Authorized Philips dealer such as Discount-Merchant.com to insure that you are receiving a genuine Philips brand replacement lamp. Beware of knock-off and counterfeit Philips lamps floating around in the market. When you purchase an OEM replacement lamps and parts you’re guaranteed the best elements for for your RPTV. Owner of Delauney Repair in San Diego, Ca. 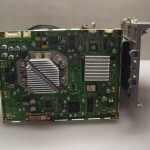 I've been in the electronic repair business for the last 35 years. 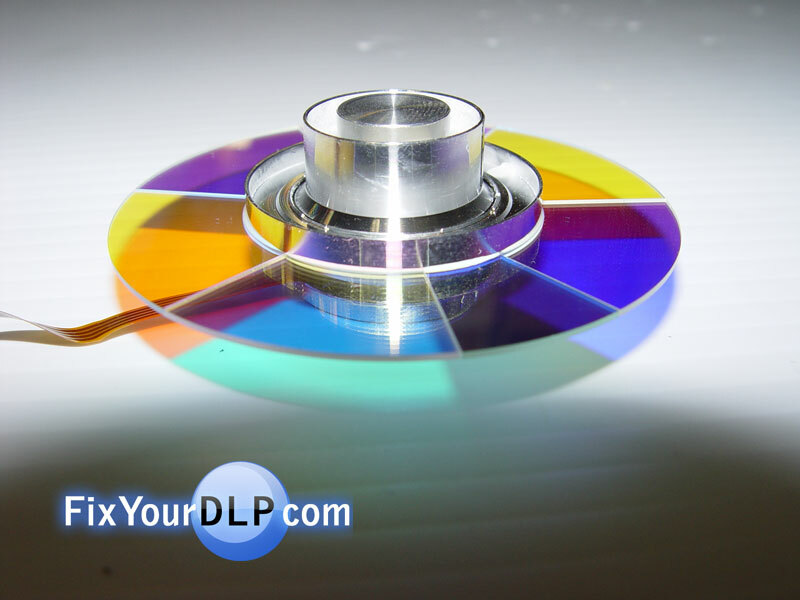 i recently changed my color wheel on my 42″ samsung dlp tv. the noise has stopped but now the color and alignment is off. everybody on the tv looks blue. please let me know what i can do to fix this. thanks! I have hte same problem. Did you get an answer to your query? Is there a way to find out which color wheel my TV has before I open it up? I have a 46″ Samsung DLP. There is a good video on youtube that covers the HPL5063W. Just search for Samsung color wheel. It’s 5 parts. It only took me about 15 minutes to remove the old one after watching that a few times. 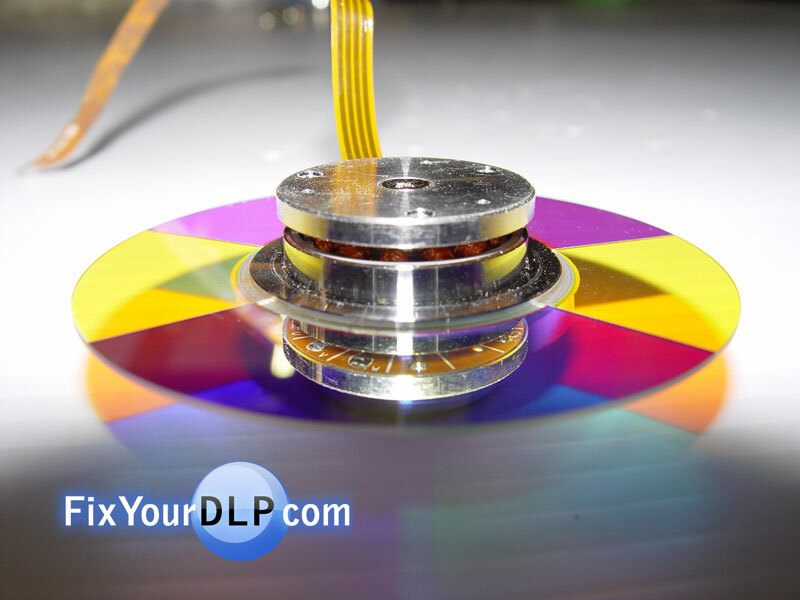 I have an HLP6163W and bought and installed a color wheel. However, the area on my TV where this jumper is supposed to be (pictured above) is covered by a black plastic piece that is screwed on from the inside (ie I can’t remove it). I haven’t tested the TV yet, but is there anyone else who ran into this problem, or any moderator who can help me? Thanks. 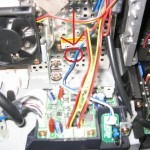 Thank you so much for the info about removing the pin..you saved me a lot of time and aggravation!!! 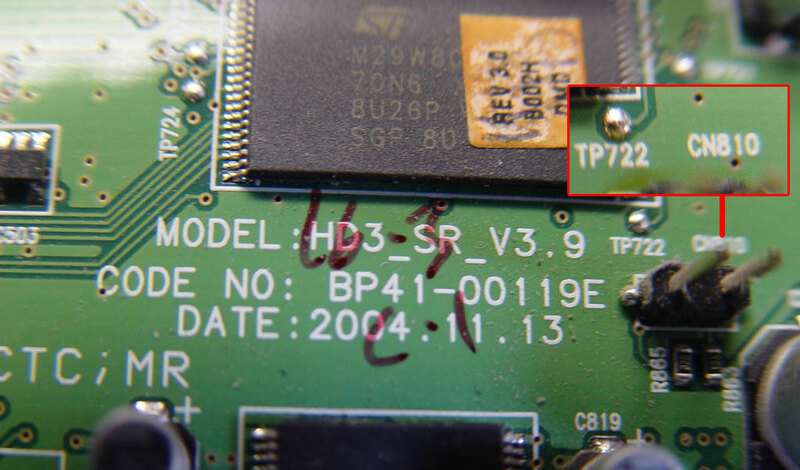 I have an HLP6163W. 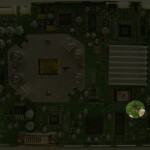 I brught and installed a color wheel samsung-bp96-00674a. I also removed the jumper. However, the TV does not turn on when I plug the power. Even the projectopr lamp does not light up. The blinking light on the front of the TV turn on botton says “lamp”. Is there anyone else who ran into this problem, or any moderator who can help me? From the new color wheel, there are 2 connections you need to make. One has an actual “clip” the other just looks like an open ended tape. But that “tape” does have a metalic side and an insulated side. You must have put it in backwards. I’m pretty sure that’s your problem. Reason i know is that the exact same thing happend to me and I was seconds away from tossing a sledge hammer through my screen, if this didn’t work. Thank goodness it did work. I forgot to mention that the projector lamp is new and it was installed 5-6 months ago. I have another confession to make. The Stand By/Temp light on the power button is also flashing! 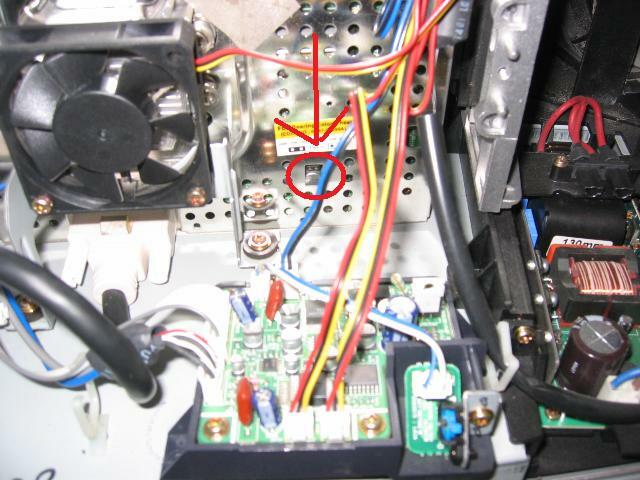 Also, the two wires that connect to the projector lamp base are not hot or live when the power is on. No power is coming to the projector lamp. Any advise please. Hey Chris..I ran across the same problem. I hate to say it, but you need to pull your unit back out and check to make sure you have your ribbon to the color wheel plugged in properly. 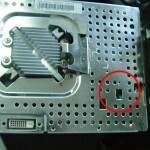 It will fit both ways, you need to have the metallic strips facing the pins in the connector. My light is in and now all I have is colored squares. Now I need to investigate that. I do have sound, but no clear picture. Anyone have any ideas ?? 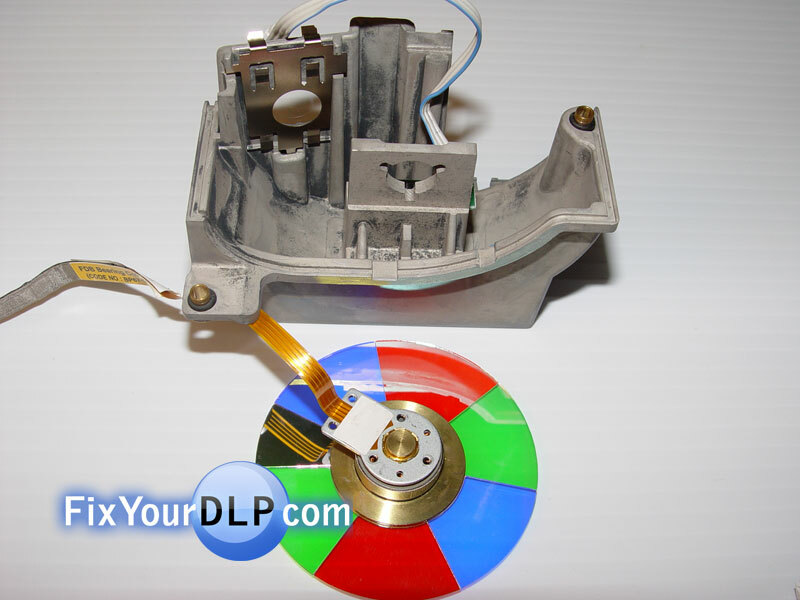 Thanks again..
Great place to purchase the BP96-00674A color wheel with housing. What happens if the CN810 Jumper is wrong? I removed and replaced a silver “Air Bearing” color wheel but the CN810 Jumper is “Inserted” How can I tell if this is right or not?